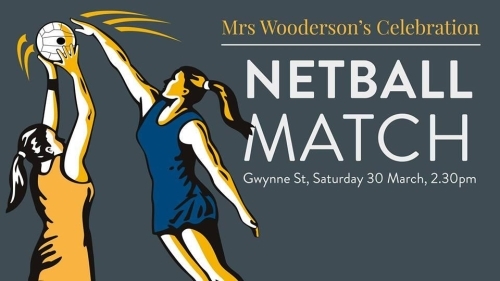 Description:In honour of Mrs Wooderson's retirement from Hereford Cathedral School this year, we will be hosting a celebration netball match at Gwynne Street on Saturday 30 March from 2.30pm. Mrs Wooderson joined HCS in 1985 as Miss Sharp and will be retiring in the summer. We would like all former HCS netball players to either form teams or we will make a team for a mini tournament at Gwynne Street. Alternatively, come along to support.